I read the announcement that head coach Andy Coen was stepping down as head football coach late Friday evening. It was an announcement that I was expecting, to some degree. Those of use who have been following the program closely knew that something was amiss with Andy. And yet, the reason for him needing to step down was devastating. It was the gutting, pit-in-the-stomach diagnosis nobody wanted to be true. 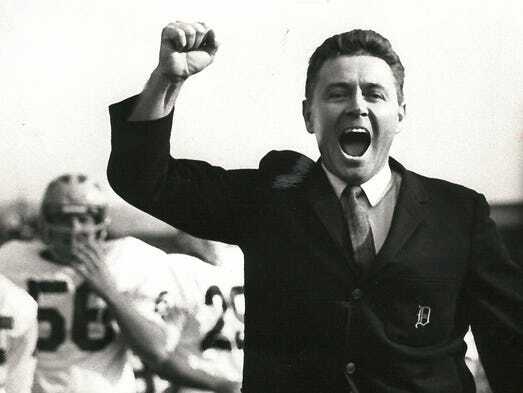 Just like that, a bigger challenge than simply winning football games faces the man who has been heading the program for the last thirteen years. As the reality of the diagnosis sunk in over the weekend, the players who played for him and the people he touched poured out their gratitude on Twitter and Facebook. I did too, feeling a jumble of emotions and memories that have been difficult to process. Lehigh’s relationship with the schools of the Ivy League go all the way back to the 1880s. In 1885, Lehigh’s fledgling football team opened the season with the University of Pennsylvania, who throttled the Brown and White 54-0. And it would be 1890 when Yale first hosted Lehigh, 26-0 winners. These three traditional Ivy League football opponents appear on Lehigh’s football schedule for 2015 and will be a critical litmus test for this your Mountain Hawk football team. But one opponent stands out more because of the fact that Lehigh hasn’t played them in more than a decade. 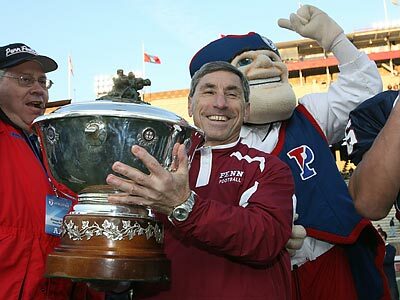 We’re going to be talking today about Penn, a rival (with a little r) that hasn’t faced off against Lehigh in over a decade. It may seem hard to believe now, but there was a time when people thought that taking the Rivalry outside the state of Pennsylvania was a horrible idea. 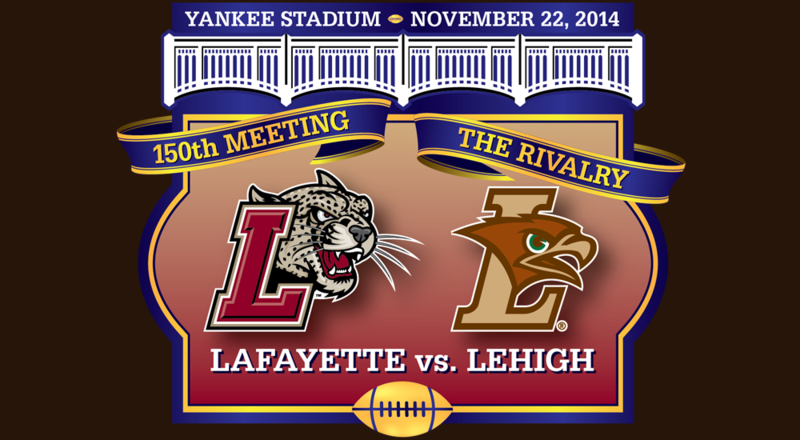 A few days ago, Lafayette announced that they had sold out their alumni and faculty ticket allotment for the much-anticipated game at Yankee Stadium on November 22nd, 2014. Lehigh, who has more alumni, sold out their similar allotment on November 25th, 2013, meaning that this edition of The Rivalry will break attendance records. The game which some people thought might not sell 16,000 tickets will, in the most conservative estimates, will easily top 40,000 ticket sales, with the prospect of the Yankees opening up more seats later in the season. Being a new Lehigh quarterback or wide receiver is no easy task. Your athletic director, Joe Sterrett, is a former star quarterback for Lehigh. Think he’s invested in the program? Your receivers coach, Dave Cecchini, was a star member of head coach Hank Small‘s “Air Lehigh” teams of the early 1990s. Now he works every day with members of the offense. Your recently graduated receiver, WR Ryan Spadola, will be lining up for the NFL’s New York Jets on Sunday. Every day each Lehigh quarterback and receiver sees Lehigh Hall of Famers all over the place – something that might be intimidating to some. But not senior QB Brandon Bialkowski and senior WR Lee Kurfis. They clearly embrace challenge of stepping into those shoes. When I asked Brandon what we should expect this Saturday in his first ever start, he responded simply. “Expect Air Lehigh to be back,” he said.